The author serves as Executive Director of the AMERICA'S ANGEL Campaign, a non-profit national initiative to establish the well-being of America's children as our nation's highest priority, ensuring their birthright to be safe and nurtured in their own homes and homeland. A portion of the book sales will be donated to this endeavor, on behalf of America's children. 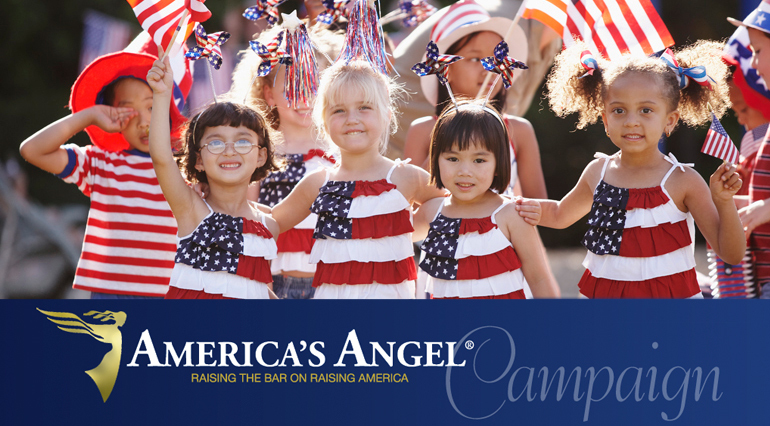 The AMERICA’S ANGEL Campaign brings you the opportunity to join this national movement that weaves the power of patriotism with the one shared wish of every child – to grow up safe and nurtured in their own home and homeland. It’s about FAMILY. It’s about FUTURE. Copyright © 2013 NaughtABimbeaux, All Rights Reserved.